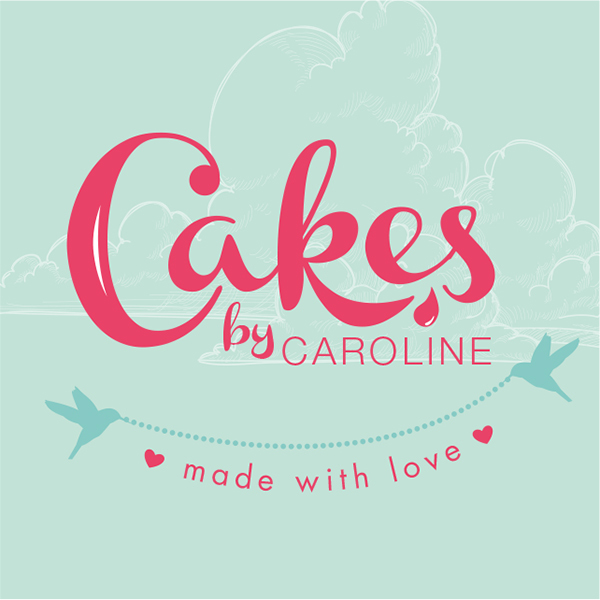 ABOUT: Cakes by Caroline offers a unique array of classic or bespoke cakes for various occasions, as well as cake decorating and cupcake parties for kids. 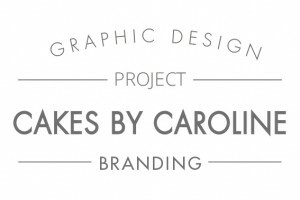 Caroline wanted her branding to reflect the various offerings so the logo needed to be suitable for an elegant occasion such as a wedding but also fun and appealing for someone wanting to book a cupcake party. 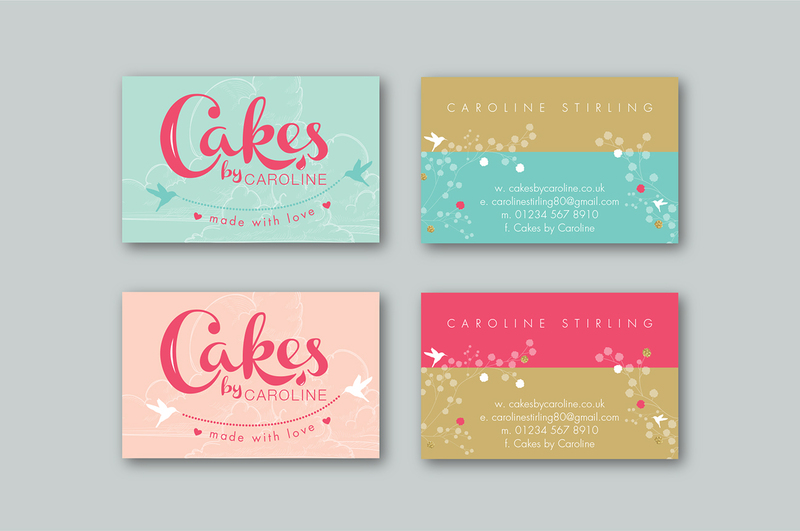 Paperknots created the main logo from a chunky script font that almost looks as if it could have been piped icing – the little drop was added to enhance this effect. Various elements were created around the logo to build up the brand. The backgrounds are dreamy clouds made from pastel shades and over the skylines are blossom trees with feature bright and glittery petals.